Today, billions of devices are Internet-connected, IoT standards and protocols are stabilizing, and technical professionals must increasingly solve real problems with IoT technologies. Now, five leading Cisco IoT experts present the first comprehensive, practical reference for making IoT work. IoT Fundamentals brings together knowledge previously available only in white papers, standards documents, and other hard-to-find sources or nowhere at all. 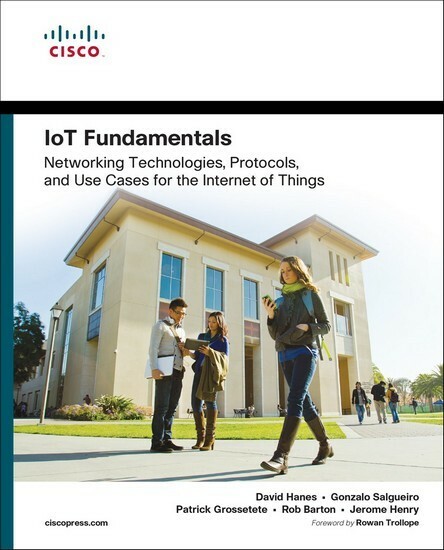 The authors begin with a high-level overview of IoT and introduce key concepts needed to successfully design IoT solutions. Next, they walk through each key technology, protocol, and technical building block that combine into complete IoT solutions. Building on these essentials, they present several detailed use cases, including manufacturing, energy, utilities, smart+connected cities, transportation, mining, and public safety. Whatever your role or existing infrastructure, you’ll gain deep insight what IoT applications can do, and what it takes to deliver them.